Most doctors agree that a diet of whole, unprocessed, nutrient dense foods is essential for health. For neurological conditions, most integrative doctors recommend a diet high in healthy fats (nuts, seeds, oils, avocodo) and low in grains. Terry Wahls, MD takes it one step further. She as developed the Wahls Protocol available in book form and at her website at http://terrywahls.com. 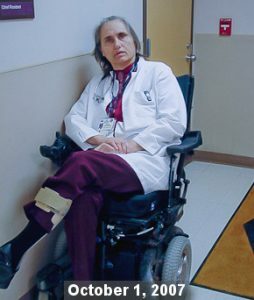 Dr. Wahls was in a wheelchair for 9 years suffering from multiple sclerosis (MS). 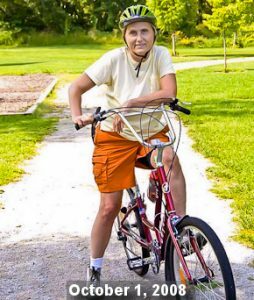 Today, after following the Wahls Protocol, she no longer needs a wheechair, and is able to walk, ride a bike and live a normal life as long as she sticks to her diet. She is not cured her MS, but she has been able to become largely asymptomatic. Why is this important for ALS, Alzhiemer’s and other neurological diseases? Because a diet good for one neurological disease has been shown to be beneficial for other neurological diseases and we personally know people who have been diagnosed with Alzheimer’s, ALS and MS who say they have benefitted from the Wahls Protocol. Elimination of grains and sugars is an important part of Wahls Protocol as is dairy because they cause inflammation. For those who are sensitive, eggs and any allergic foods must be eliminated. not available elsewhere in the diet. Raw brazil nuts provide bio-available selenium to help detoxify the body. Dr. Wahls is not the only one recommending a diet rich in fats and eliminating grains. Dr. David Perlmutter, MD, and board certified neurologist, recommends a similar diet high in fat and low in grains in his books Grain Brain and Brain Maker. Dr. Mercola MD, Dr. Mark Hyman MD and other well-respected integrative physicians also recommend this type of diet for neurological conditions. All also recommend a diet which eliminates processed foods as well as artificial colors, flavors and sweeteners. Since part of ALS is inability to process high glutamate levels in the brain, doctors recommend eliminating MSG and other high glutamate foods. 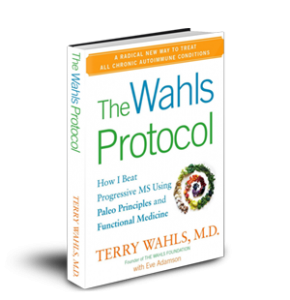 For more information on the Wahls Protocol, visit http://TerryWahls.com or order her book on http://Amazon.com. This entry was posted in ALS/MND, Intermediate by Healing ALS Team. Bookmark the permalink. this type of natural medical has used not merely for your treatment and prevention of sickness and disease but additionally as a way to remain in shape and enjoying a great day with the luxurious way of relieving stress. Kudos for looking into this and for asking. Several of the people who have reversed ALS have genetic ALS. The approach is the same: nutrition, supplements, detoxification, positive mental attitude, avoiding toxins doing your own research and taking your health into your own hands. To find out more, check out “Where do I Start” the April 2016 blog on this site. Also read about others who have successfully healed or reversed ALS at the bottom of the home page. Eric Edney’s book, Eric Is Winning is a must read for anyone diagnosed with ALS. Definitley check out shackel.org, alswinners.com and ericiswinning.com. There is a LOT of great information on these sites. A holistic medial professional can also be very helpful and give you tests, ideas and expertise.